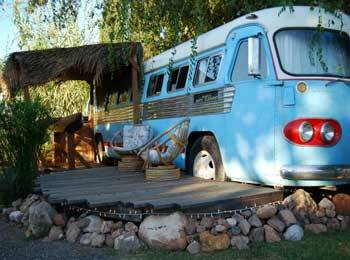 Home>30 Best Unusual Hotels You Can Book Tonight! Hotels aren’t merely places to lay your head at night. 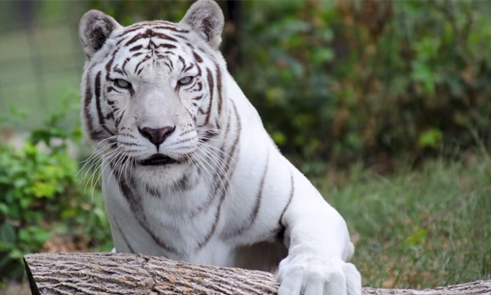 They can be experiences in their own right, and the hotels listed below prove just that. These 30 hotels are all unusual in their own way. 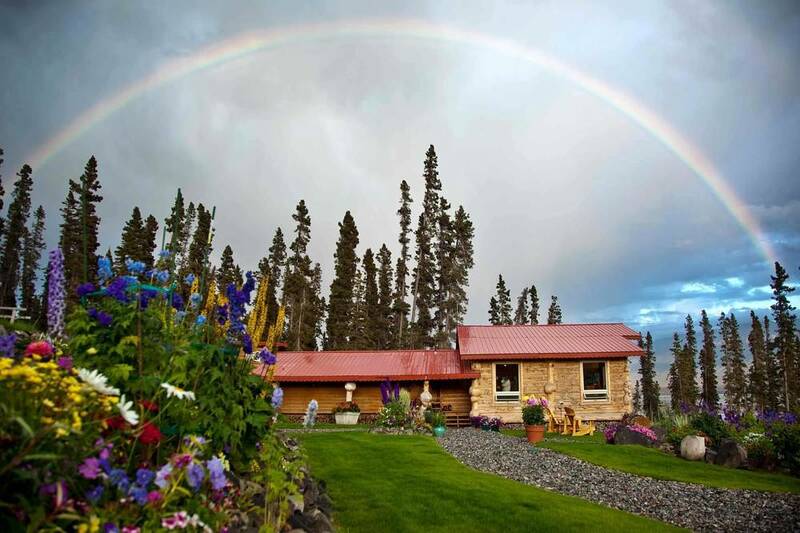 While some differ from the norm in terms of location, such as Alaska’s Ultima Thule Lodge, others like Turpentine Creek are unusual because of their, well, local residents. Still others boast unusual themes ranging from beagles to clowns. 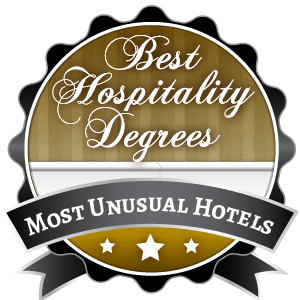 But however “unusual” we might describe them, each hotel on this list is more than just a place to sleep. Each can be booked tonight for the experience of a lifetime. Visiting the canyons of Utah is an awe-inspiring experience, and when you book a night at Amangiri, you can experience the local beauty like never before. Each luxurious room at Amangiri is built into the walls of rock formations — talk about up close and personal. Furthermore, the hotel offers its guests a range of unique activities, from a wellness spa and hiking treks, to rock climbing, sunrise rides in a hot-air balloon, and even fossil hunts. If a visit to Alaska is all about experiences, then your choice of hotel should fit the theme. Enter The Aurora Express Bed and Breakfast. 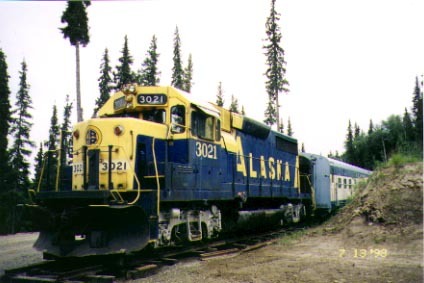 This unique hotel consists of five full train cars, each of which have been transformed into luxury accommodations and christened with names like Golden Nellie Caboose and Bordello. And while many people head to Fairbanks, Alaska to see the real thing, guests of The Aurora Express will love the stunning ceiling fresco of the Northern Lights in the Dining Car. 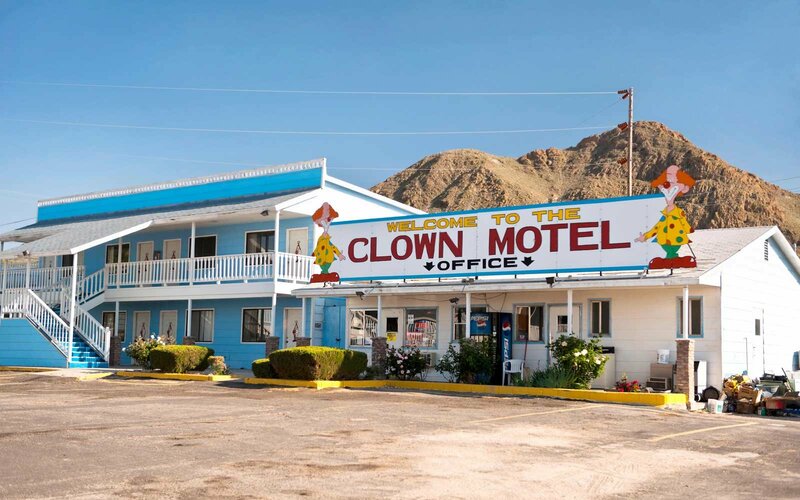 Okay, so the Clown Motel may not be for everyone. But if you can stand clowns — or even love them! — then this unusual place is worth booking tonight! Step into the lobby, and you’ll find hundreds of clown-themed decor items ranging from paintings to full-blown costumes. Even the rooms are clown themed, and feature famous clowns from throughout history. Oh, and also worth mentioning: rumor has it, the place is haunted. Dog lovers will bark for The Dog Bark Park Inn in Cottonwood, Idaho. 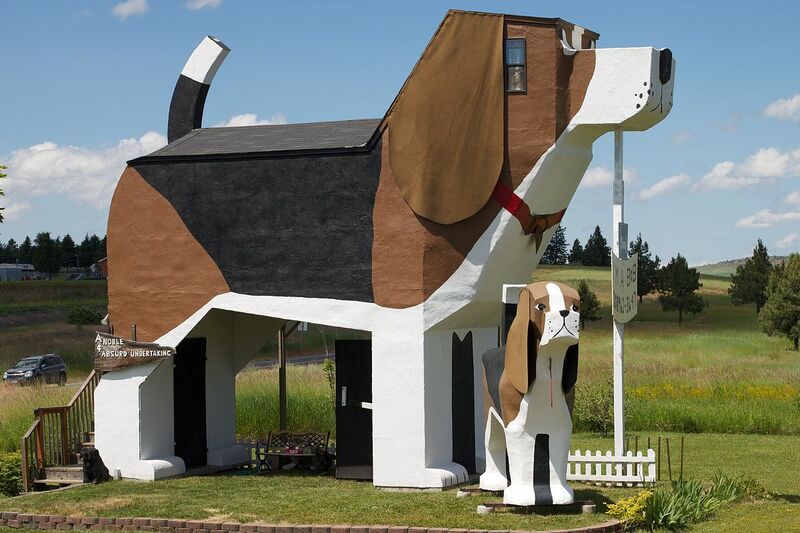 Shaped like a giant, 30-foot tall beagle, the hotel features a dog-themed room and a dog-themed gift shop. The room, which includes a loft in the dog’s “head” and sleeps four, can be yours for $125 per night. And yes — The Dog Bark Park Inn is pet friendly. 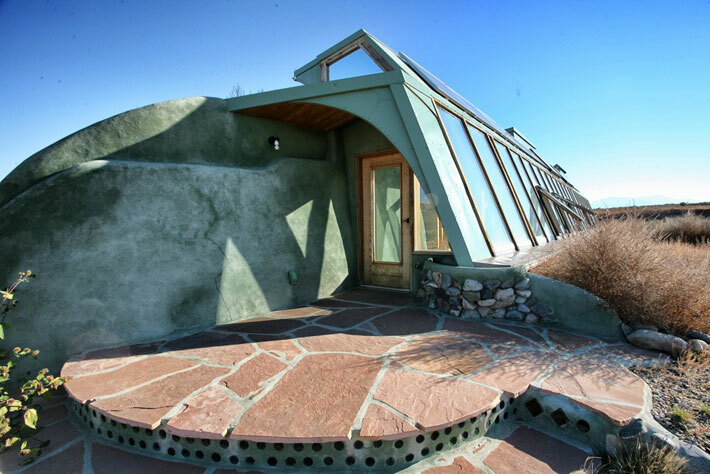 By booking a stay at Earthship in Taos, New Mexico, guests can experience first-hand what it’s like to live sustainably off the grid. This unusual hotel, inspired by the region’s famous adobe structures, is an entirely eco-friendly facility. Its exterior is made of old tires and glass bottles, while its water comes from a snow-collecting cistern. The electricity — and yes, there’s Wi-Fi — is powered via solar panels. The West Texas desert town of Marfa is the kind of place where one might go to escape the stresses of the real world. The entire town is a kind of art installation in itself, so it’s no surprise that it would be home to such an unusual hotel as El Cosmico. 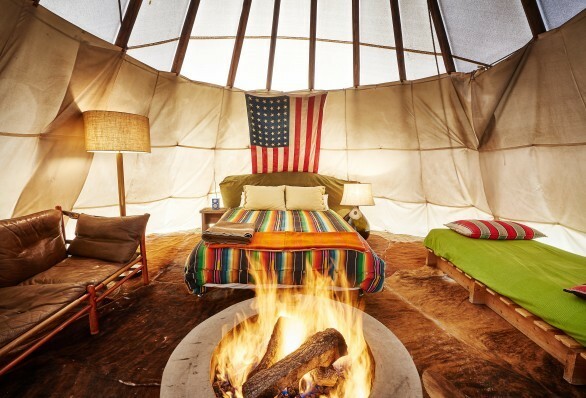 Spanning 21 acres and costing on average less than $100 per night, El Cosmico consists of Mongolian yurts, campsites with tents, safari-style tents, renovated vintage trailers, and even teepees. Even the community spaces are unique, and come in such forms as a reading room, a hammock grove, and hot tubs. Guests are invited to live out their fantasies at Greenwood, Indiana’s Fanta Suites. Each room at this unusual hotel has been carefully designed to bring to life some of our most common fantasies. 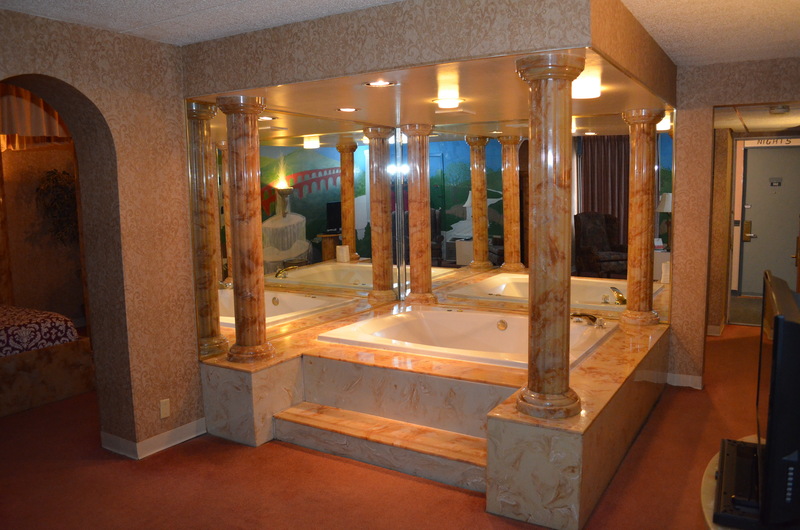 For example, guests can sleep amongst columns and a marble whirlpool in Caesar’s Court, or live out their dreams of being an astronaut in the 10-sided Space Odyssey Room. The hotel is tons of potential fun, and other delightfully tacky room themes include Sherwood Forest, James Bond’s Casino Royale, the Wild Wild West, or a geisha garden, among others. 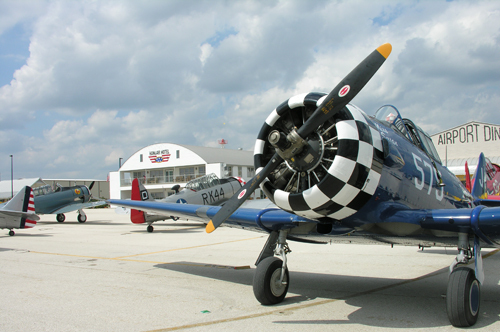 History buffs and airplane nuts will love staying at Texas’s Hangar Hotel. Designed to look like a World War II hangar, this awesome and unusual hotel boasts the usual rooms, plus life-size model airplanes, lots of aviation memorabilia, and a flight-themed diner. There’s something inherently romantic about spending the night in a lighthouse — and we’re not just talking about the seven-course breakfast. 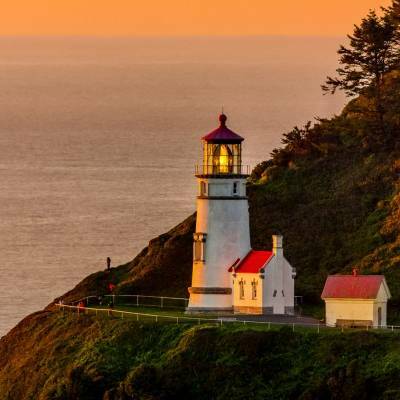 At The Heceta Head Lighthouse, guests have their pick of five rooms, including the Mariner’s Room and the Lightkeeper’s Room, each of which has been carefully restored and decorated to suit the lighthouse, which has remained working since 1893. The lighthouse still sends light across the ocean, though guests need not worry about it disturbing their sleep. If you’re thinking that you’re over your backpacking-through-Europe-and-sleeping-in-train-stations days, then you must not have heard of the Historic Union Station. 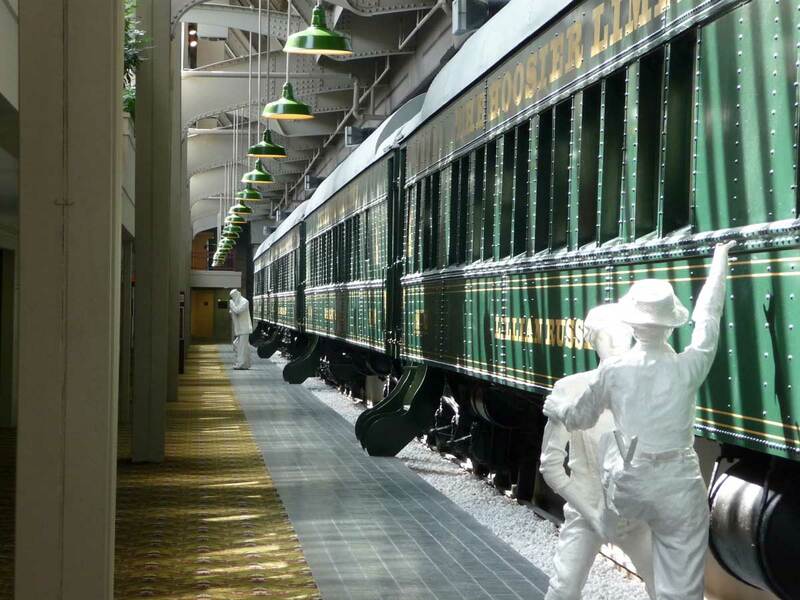 Located in Indianapolis, this unusual, yet luxurious hotel was once the city’s main train station. Union Station still looks like a train station, complete with trains still on the track, but it’s now been converted into 273 rooms, some of which are located in old sleeper cars. There are dozens of jails-turned-hotels throughout the United States, but when it comes to unusual hotels you’ll want to book tonight, we had to include Jailer’s Inn Bed and Breakfast in Bardstown, Kentucky. Conveniently located between Louisville and Lexington, Bardstown is a charming small town and the perfect place for a weekend getaway. 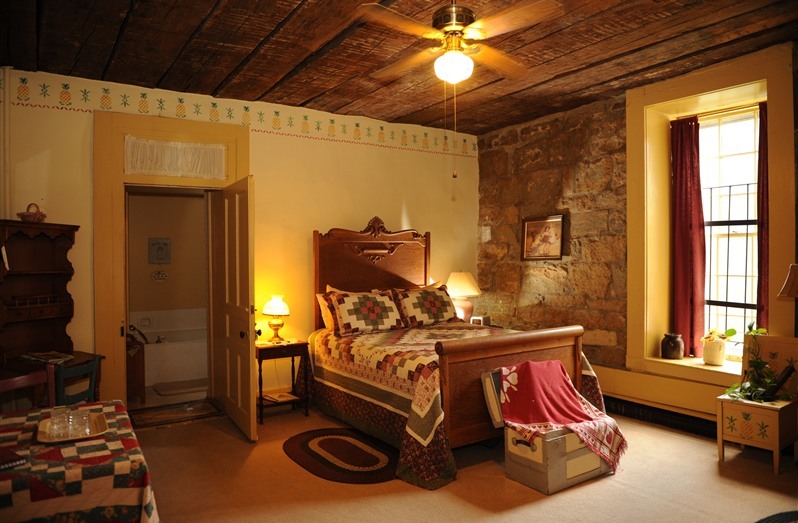 Guests at the Jailer’s Inn can stay in one of seven rooms, each of which dates back to 1874 and is made up of stone walls that are an incredible 30 inches thick. Fans of haunted hotels are sure to love this unusual one. 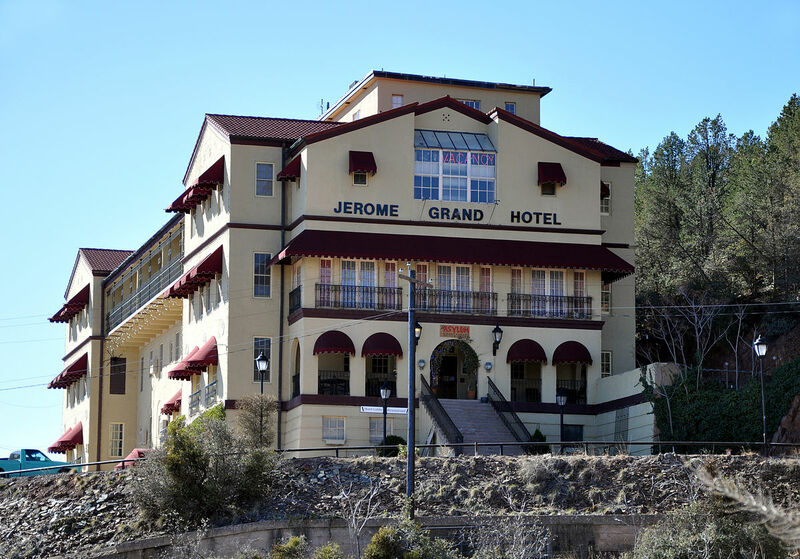 The Jerome Grand Hotel was once a lunatic asylum. Today it’s a fancy, though unique, hotel with a well-received on-site restaurant appropriately called The Asylum. Though it officially closed as a hospital in 1950, a few modern-day guests have reported seeing a young child running through the halls and hearing the cries of a newborn baby that isn’t there. 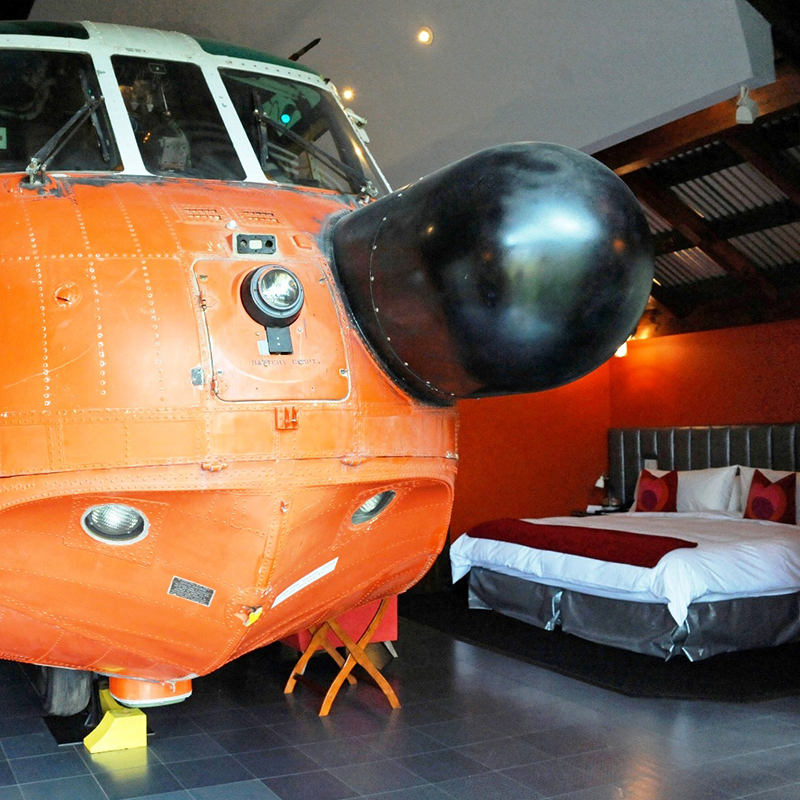 Jules’ Undersea Lodge is definitely unusual, but we have a feeling it’s definitely a hotel you’ll want to book tonight. The lodge is actually located 30-feet below the surface of the ocean, and you’ll need your scuba certification, or at the very least, a lesson or two from the lodge’s on-site instructor, to reach your room. Once there, you can enjoy a fully stocked kitchen, cozy beds, showers, a television, and once-in-a-lifetime views of stunning sea life. 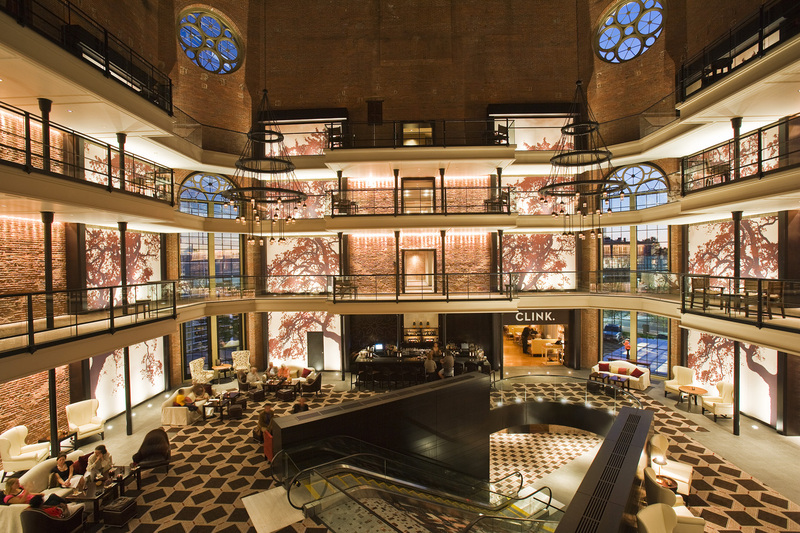 Located in the heart of Boston’s desirable Beacon Hill neighborhood, the ironically named Liberty Hotel is perhaps one of the most famous former prisons in America. Malcolm X and Sacco and Vanzetti all stayed here — though of course, it was known as Charles Street Jail then. Today’s guests can have a much different experience, with luxurious rooms, Saturday yoga classes, and private in-room bars. Book lovers, prepare to have your minds blown! New York’s Library Hotel is an unusual place themed all around the Dewey Decimal System. Walk into the hotel and enjoy the sight of books everywhere, then explore each floor of the hotel, all of which contain books of a different category. 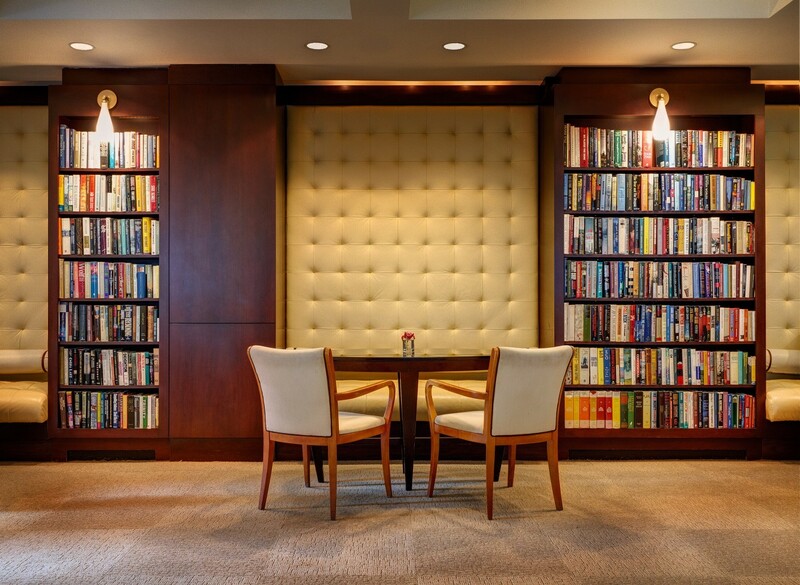 Though you’ll likely want to get out and explore the city, Library Hotel is a great place to spend some time reading. 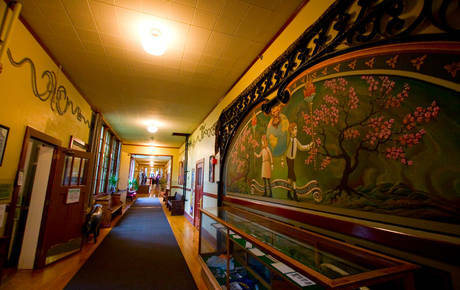 “Sleeping in class” takes on a whole new meaning when you book a stay at the McMenamins Kennedy School in Portland. This unusual hotel is a converted elementary school, and guests actually sleep in former classrooms that are still decorated with desks and the original chalkboards. Especially worth mentioning is the detention-themed social area, where guests can puff on cigars and order from a full bar. 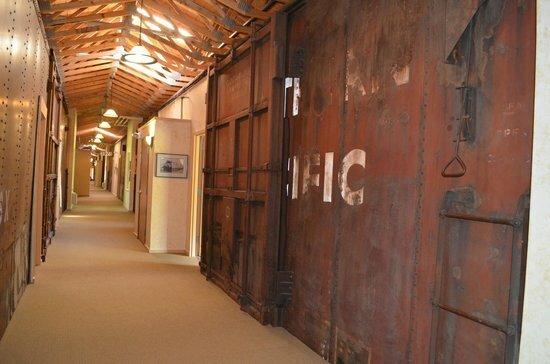 At the Northern Rail Traincar Inn, guests can sleep in one of 17 old railroad boxcars, each of which has been restored into rustic accommodations. But the experience doesn’t end at the novelty of sleeping in an old train. Located along the shores of Lake Superior, the inn also hosts special campfire evenings, where guests can socialize and roast s’mores. Temporarily live like the Flintstones and book a night at Kokopelli’s Cave Bed & Breakfast. The single cave room is actually a 1,700-square-foot cavern located 70 feet below ground. You’ll have to take 70 limestone steps to reach it, but once you’re there, the waterfall shower, Jacuzzi tub, and Native American kiva are all yours. Don’t let the (mostly) normal exterior fool you, the Madonna Inn is as unusual as they come — and it’s fantastic. This unique hotel — which is named after the original owner, not the singer or the mother of Christ — consists of 110 rooms, each of which is decorated to the gills in a different theme. 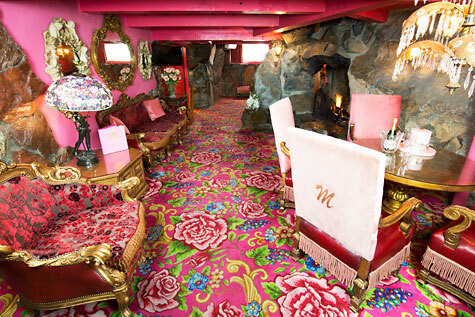 Wacky color schemes, waterfalls, designer toilets, you can enjoy it all while staying at the Madonna Inn. 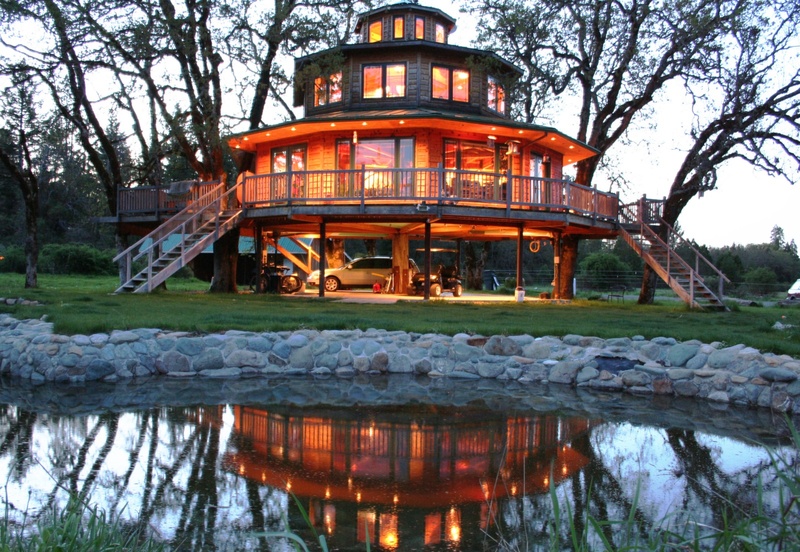 Channel your inner Swiss Family Robinson at Out’n’About Treehouses Treesort in Oregon. This delightfully unusual resort, which has the biggest concentration of tree houses in the world, offers guests such punny options as the “treezebo,” “yurtree,” and 16 other options. While some tree houses can only be reached by a swinging rope bridge, others require a series of zip lines to reach them. But each tree house is family sized, and comes complete with real beds, a kitchenette, and full baths. Each tree house is priced differently, but prices range from $150 to $350 per night. Whether you want a luxurious experience or a spooky one, The Queen Mary is one unusual hotel worth booking tonight. The hotel is actually a retired cruise ship that is quite historically significant. During the 1930s, it was a luxury liner like the Titanic, and transported the filthy rich across the Atlantic. During World War II, it was used to transport military personnel, including Winston Churchill — and maybe a few ghosts. Over the years, a number of ghost sightings have been reported, such as that of a little girl with her teddy bear and a dancing woman wearing a white gown. 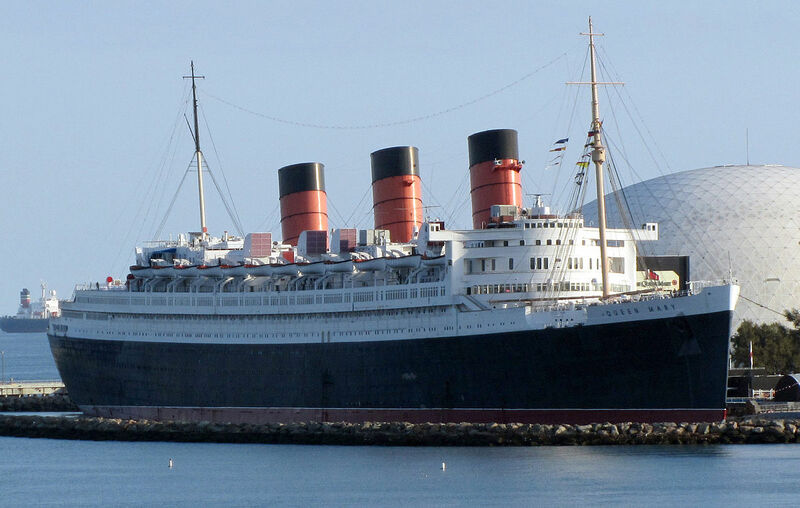 If you’re not up to staying the night, you can also visit The Queen Mary as a hotel, or a restaurant and tea house. Fredericksburg, Texas is already a delightfully historic town celebrating the region’s proud German roots, but at Settlers Crossing Bed and Breakfast guests can channel the early Texans even more closely. The Bed and Breakfast is made up of seven log cabins, homes, and a stone barn dating back to the late 18th century, each of which is decorated with authentic antiques to make the experience feel that much more authentic. 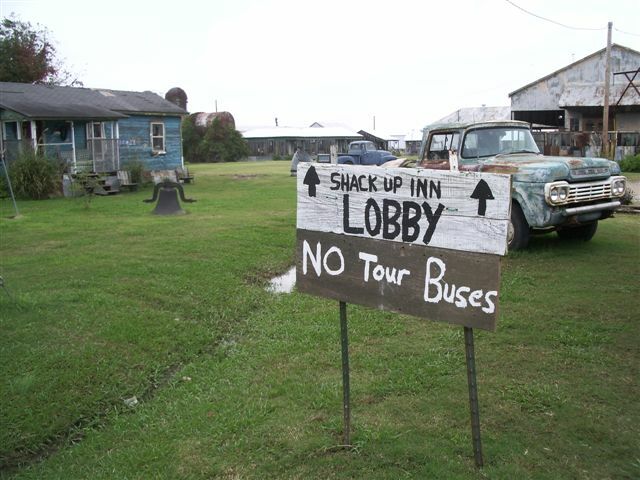 Despite making list after list of the coolest hotels in America, the Shack Up Inn is nothing fancy. 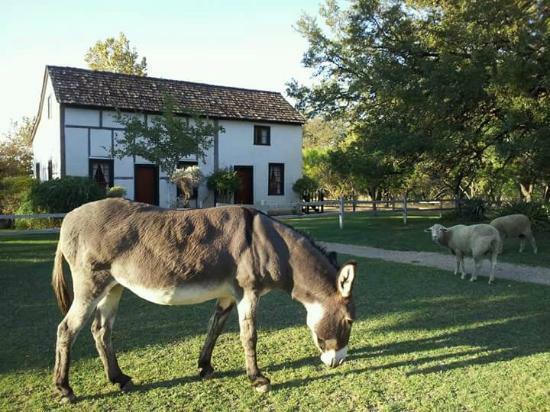 In fact, its main accommodation consists of two-room shacks in which poor early 20th-century sharecroppers once stayed. Fortunately for The Shack Up’s modern-day guests, each shack has since been outfitted with heat, AC, and running water. Despite its simplicity, staying here is all about the experience. Those nostalgic for the 1950s will feel right at home at The Shady Dell Vintage Trailer Court in Bisbee, Arizona. Consisting of 11 vintage El Reys, Airstreams, and Royal Mansions, all of which have been fully restored, life at The Shady Dell includes televisions with only black-and-white pictures, vintage music, 50s-era decor, and even old magazines to help pass the time. 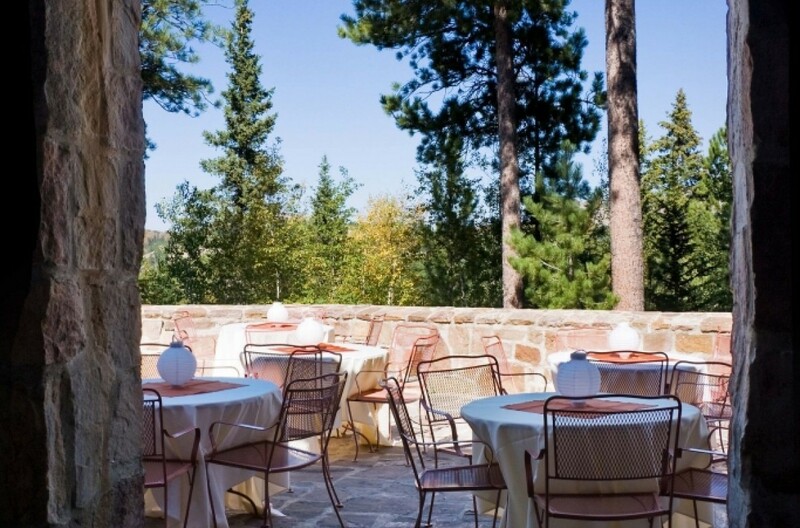 You may be wanting a few good reasons to book a hotel in the middle of South Dakota, but we are confident we can convince you that the Sylvan Lake Lodge is indeed worth booking tonight. For starters, the spot on which the lakefront lodge sits was chosen by none other than Frank Lloyd Wright. Secondly, it’s located within an hour’s drive to Mt. Rushmore and Crazy Horse — two of the country’s most famous, must-see monuments. Lastly, we’d say there’s a better-than-good chance that you’ll wake up to find some buffalo or other exciting wildlife hanging out in just outside your window. Washington is fondly nicknamed the “Evergreen State,” so why not get up close and personal to said evergreens by spending the night at TreeHouse Point in Fall City. Located mere minutes from beautiful Snoqualmie Falls, TreeHouse Point consists of six luxurious tree houses full of the usual amenities, including hammocks. More unusual is the fact that to get to your tree house, you may have to cross a few 18-foot-high rope bridges. Luxury located more than 100 miles from the nearest road? Yep! You’ll need a private plane to reach Ultima Thule Lodge, but once you’ve made it, it’s worth it. This unusual hotel brings luxurious living to the Alaskan wilderness, complete with hiking trails, fishing boats, chefs, and some of the most stunning natural scenery to be found on Earth. 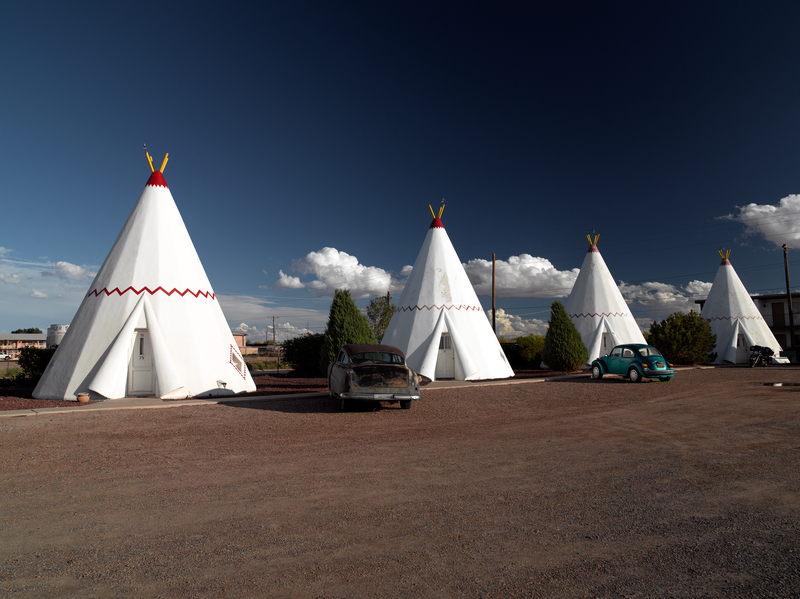 In the 1950s, the Wigwam Motels were a staple along the famous Route 66. Today, only a few remain, including the one in Holbrook, Arizona. The motel hasn’t changed much since the mid-century, but that’s what makes it so wonderfully unusual. Each motel “room” is actually a teepee, though they all include the usual comforts like bed, cable, and full bathrooms. Most hotels enjoy a certain theme throughout, but not Winvian Farm. Located in Litchfield Hills, Connecticut, this luxurious, but unusual, hotel is actually 18 separate cottages, each with its own theme and features. Examples of the Winvian’s memorable accommodations include the “Beaver Lodge,” which is designed to look like a — you guessed it — beaver’s lodge, the golf-themed cottage with green-carpet floors and a miniature golf course, and a helicopter-themed cottage in which guests can sleep alongside an actual Sikorsky Coast Guard helicopter.